A great results day today with wins for all our teams. All 3 of our SNCL sides sit proudly at the top of their respective league tables. Great stuff! were denied a comprehensive win as Cuckney's last pair held out for a losing draw. A typical 91 from Alec McKinlay put Attenborough on the way to a decent score but, after a mid-innings collapse, it was left to Ben Bhabra 31* and Dom Harvey 30* to put on an unbeaten 62 partnership for the 8th wicket to steer us to 231 for 7 from our 50 overs. Cuckney were never really in the running with wickets tumbling regularly and finished on 146 for 9. Dom Harvey 3 for 10 from 11 overs and Muhammad Usman 3 for 33 were the pick of the bowlers. The result puts us in 5th place in the Nottinghamshire Premier League. notorious for teams losing the toss losing the game; skipper Rich Henson lost the toss. A score of 140 for 8 from a reduced 42 overs was a great effort on a wicket with variable bounce and plenty of lateral movement. On a wicket that it was difficult to stay in on and even more difficult to score runs, Gotham were never in the hunt. 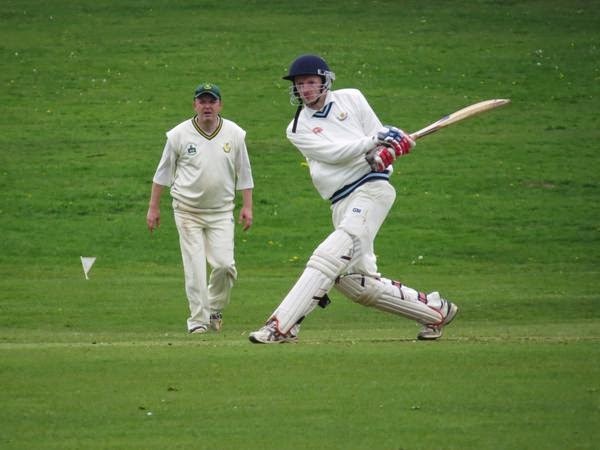 Only two batsman managed double figures as the hosts were skittled for 79. Spinner Akif Farooq picked up 4 for 19, Martin Rayner conceded a miserly 15 runs in 11 overs with 2 wickets and Charlie Simkiss finished things off with a brace in his second over. 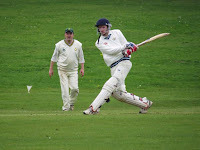 In Division J the 3rd XI were at Bramcote and recorded a resounding win. tighter contest by 24 runs. Batting first, Mr Reliable Carl Knight notched up 49 and evergreen Bomber Harris 30 as we set a target of 156. In reply East Bridgford were undone by James Binnie continuing his excellent early season form with 4 for 12 and 14 year old Lakshay Sharma with 3 for 38.